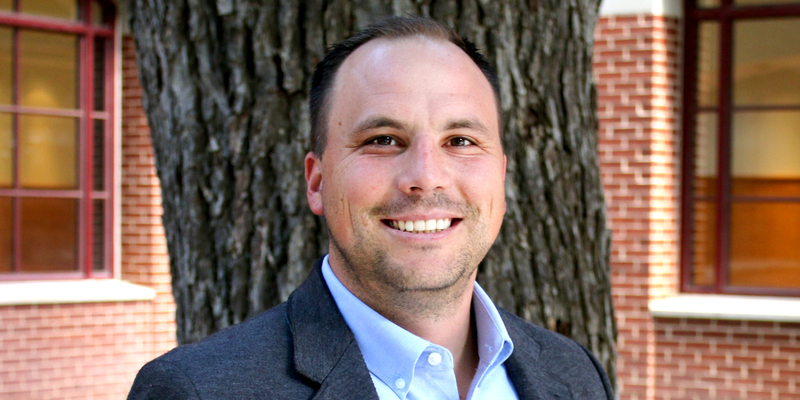 Jack Bodenhamer was recently appointed to the role of Assistant Director of Ministry Connections at Baylor’s Truett Seminary. Jack previously served as a Career Advisor at Truett and in Baylor’s Office of Career and Professional Development and as the Pastor of First Baptist Church Elm Mott. Q: Tell us a little about the Office of Ministry Connections at Truett and your new role. A: The Office of Ministry Connections works in two different areas. The first is working through an understanding of calling. A lot of students come to Truett with a very clear and succinct idea of what God wants from them. Others come here and know God has called them but don’t know exactly what that looks like. So, our first job is to have those conversations to help define calling for our students and to maybe even open up the conversation beyond what they had previously considered. So that’s the thinking, feeling, understanding aspect of our work. Then, there are the more physical nuts and bolts of the Office. We help students with résumés and navigating the church search, which is a completely different type of job placement process. We try to help facilitate growth in the skills—like interviewing—that it takes to navigate those waters well. We also connect with churches that are looking for ministers—whether that’s youth ministers, music ministers, pastors—and help our students who are currently taking classes to go and serve the church in a real and concrete way. Such service adds that sort of lab experience in their academic journey. Q: How will your previous experience as both a pastor and as a career advisor impact your work in Ministry Connections? A: I was in congregational ministry for 14 years, and I think a great love for the church shapes the work that we do in this Office. We are always for the church. Truett is here for the church, and we are an extension of that ideal. We are a place where churches can come to connect with our students, and from my previous role, I bring a wide network of folks who are doing God’s work to this job. As a career advisor, I mentored and coached students to think more widely about what it means to follow God vocationally and in calling. Putting all of that together allows for deep and thoughtful conversations. My experiences mentoring and leading students as a pastor and as a career advisor now in this role allow me to be relational and connect with students in a deep way to ultimately be what the church needs us to be. Q: What is your vision for this Office or any goals you have established? A: As we move forward, we are going to be thinking about how we can deepen relationships with folks who love and want to partner with Truett as well as how we can begin new relationships with churches that don’t know who we are or what we can provide. We want to deepen partnerships especially for underrepresented groups. For example, how can we help women who are seeking to serve in the church connect with churches that are hungering for female ministers? Or how can we help ethnic minorities connect to more ministry opportunities in churches? We want to better serve everyone within our Truett Family. Q: Is there anything else you would want people to know about you or the Office of Ministry Connections? A: I think part of our challenge is making sure everyone knows what all we do, and that goes across the board with students, faculty, and churches. We do supply preaching for half a dozen churches every week, and we’re out serving in so many ways. It’s an exciting time to be so active in our local community, in our statewide convention, and across the nation.